Perfect hotel for family Reunions, Wedding Groups and Association Gatherings. Please contact local Carmel Area Reservations Service at 831-372-5000 for a rate quote on a room block. 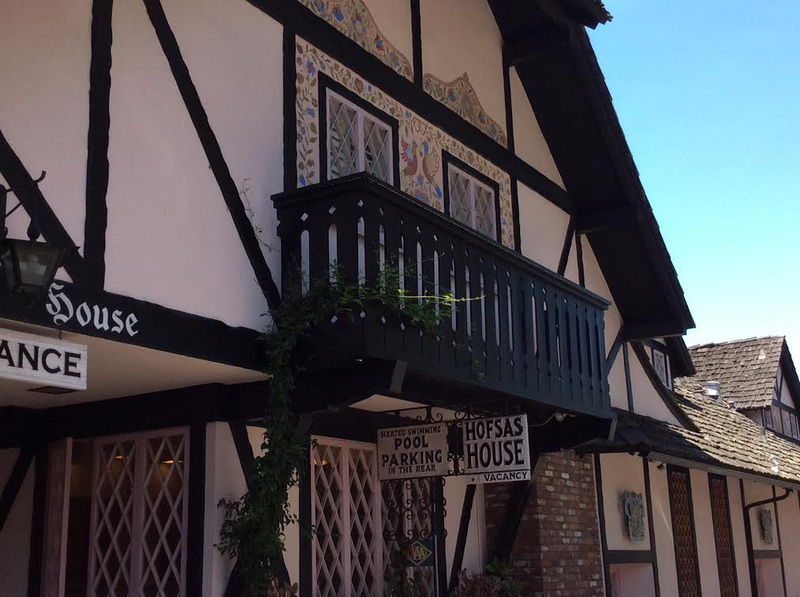 Situated in a quiet location in Carmel Village on San Carlos Ave, the Hofsas House charms it’s guests with value and style. The inn has a Scandinavian facade fondly painted with tulips and milk maidens. The pool deck and many rooms have a western exposure that shows off the sunset sky. There are glimpses of the Pacific Ocean from many spots on the property and old growth Monterey Pine trees dot the skyline as you look out toward Pebble Beach and the entrance to 17 Mile Drive. Choose from rooms with multiple twin, queen, and king size beds with full kitchen to nice king bed, fireplace, ocean view with balcony rooms. Family friendly suites create and amazing value by offering separate sleeping rooms, multiple large beds and two baths. Standard rooms for business guests are handy at a great rate for one queen bed. Pet-friendly rooms are also featured for dog lovers. For your wonderful guests’ sleeping rooms and to reserve a rare private party space in Carmel with a kitchen where you are allowed to self-cater or bring in a fabulous local caterer. The choice is yours! Up to 45 guests can be accommodated in the event room and the space can be reserved for you by this free event planning service. So plan your next very special event yet be relieved of doing every bit of the planning yourself!